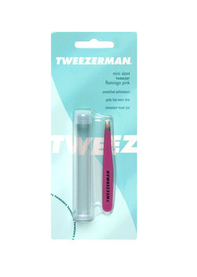 'Every woman deserves the best tools and the beauty expertise to make their lives more beautiful' In 1980 with a single product Tweezerman tweezers quickly became known for their sustainable quality and amazing precision. They have turned their iconic design into a range of the beauty world's most desirable must-have accessories. We love their women's travel essentials, which mean we can polish our look with their ergonomic precision pieces wherever we go on holiday.